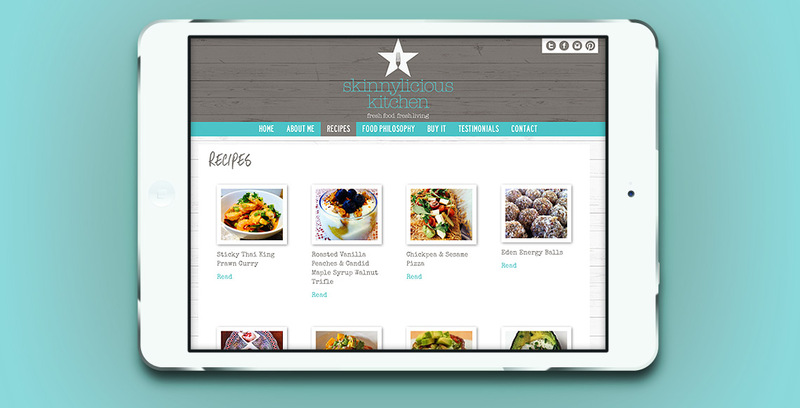 Skinnylicious Kitchen is a health focused lifestyle brand. It’s main focus is to help you feel great through conscious clean eating with delicious, nutrient-packed recipes using fresh, quality ingredients and quick, easy methods. 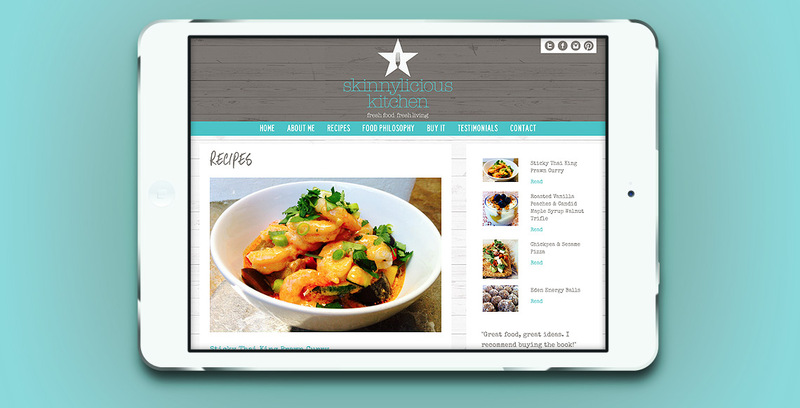 The essence of the brand is fresh, beachy,healthy; appealing to those who already embrace the lifestyle or inspiring others with original, alternative recipes to make you aslim kitchen superstar! 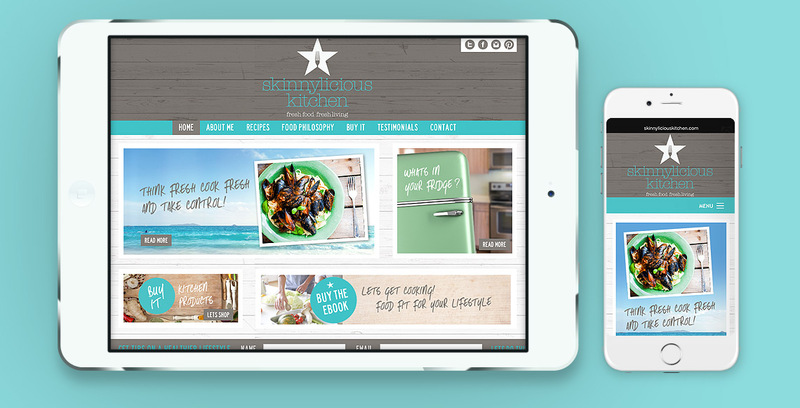 We created a fresh brand and website to reflect the story and values of Skinnylicious Kitchen. “I love the site and I’m pretty hard to please. My customers love It, I’ve sold countless books without having to think or bother doing anything and many friends have had their websites redone because of the ease and cool design and format of the site. 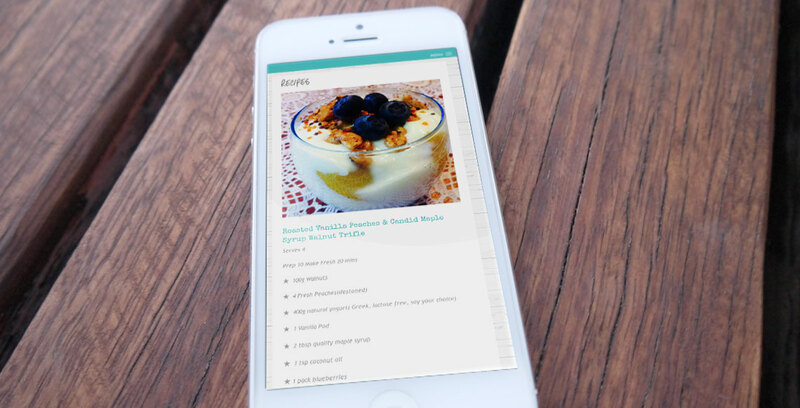 I recommend Flipside to anyone who is unhappy or stressing over their current website. The feedback I’ve had from Flipside’s design is always positive, it’s so easy, I actually forget about it and the sales come in! Big thank you both for your work.